The Educative City aims at bringing the transformation of the city into schools, promoting citizenship and empowering young people to improve the communities in which they live. It seeks to make schools a focal point not only for sharing experiences and learning about the urban environment, but also for transforming its surroundings. 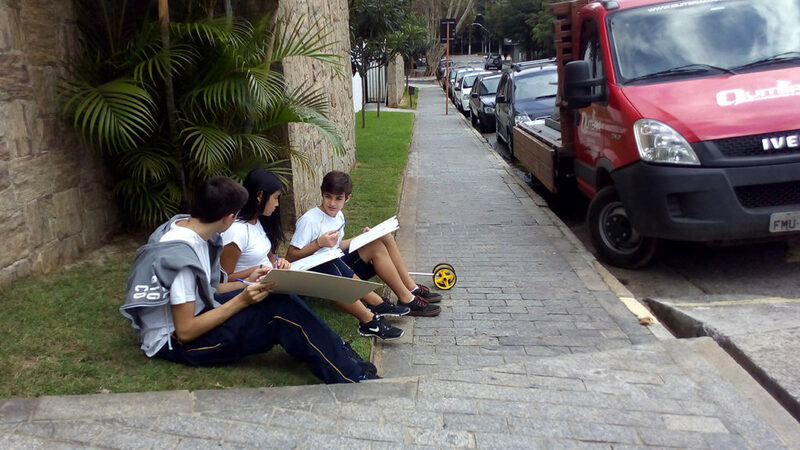 The initiative conducts theoretical and practical activities with the students, inviting them to explore ways of observing and analyzing the spaces of the city and the needs of its users. It addresses aspects such as the design and infrastructure of the neighborhoods; people’s behavior and lifestyle; and the ways in which public spaces can be used. Participants, including teachers and the community, are invited to create ideas on how to transform their surrounds and to put their ideas into practice through simple interventions. The school becomes an active agent in the shaping of citizens involved with their communities,. We believe that the construction of citizenship, of interest for the public good, must begin inside the classroom, strengthening the role of the school in the transformation of communities. Stimulating young people’s interest in public spaces and empowering them to promote changes is essential to trigger transformations in the environment that will guarantee a better quality of life.